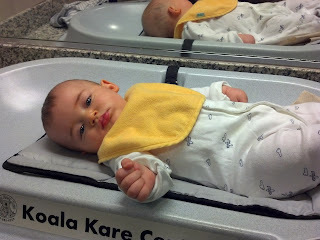 Having taken two big trips so far with my husband and our baby son, I have grown highly appreciative of the "family restroom." The rest areas along the Ohio and Pennsylvania turnpikes have lovely family restrooms, as does the Detroit International Airport. Changing a baby and managing multiple travel bags is no picnic, and I am grateful to have my husband's assistance, as I'm sure he is grateful to have mine. At the same time, it's amazing to me how something so logical can be so rare. Gender segregation remains the norm in this country, and, at least partially as a result, gender stereotypes. 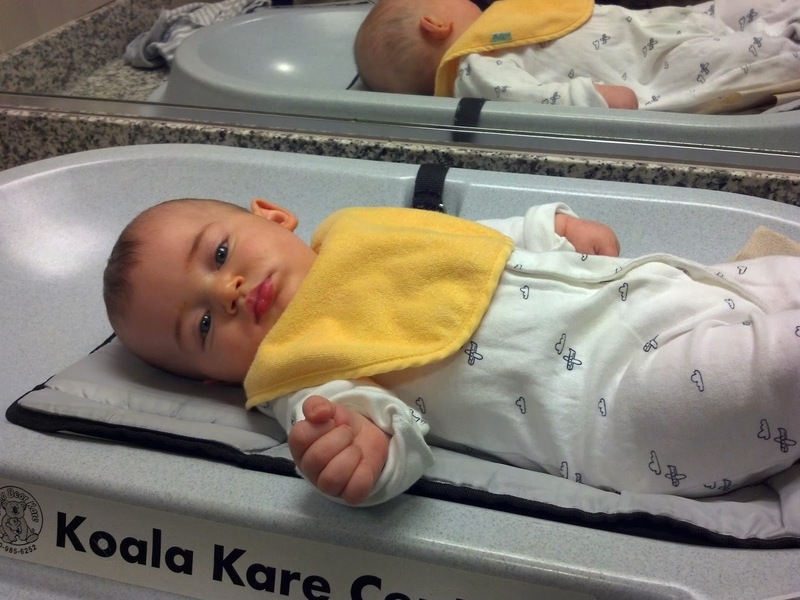 In most places, if a changing table exists, it can only be found in the women's restroom. Problems are only compounded as children get older and different-gender parents or grandparents must choose whether to take children in the restroom with them or risk having them go into the other restroom without them. I can only imagine how challenging this system must be for transgender people. It seems to me that the time is ripe for someone to write a history of public restrooms and gender segregation. Public restrooms force individuals to confront gender questions every time they leave their homes. As public spaces, they are certainly not neutral, and they deserve to be examined with a critical eye.